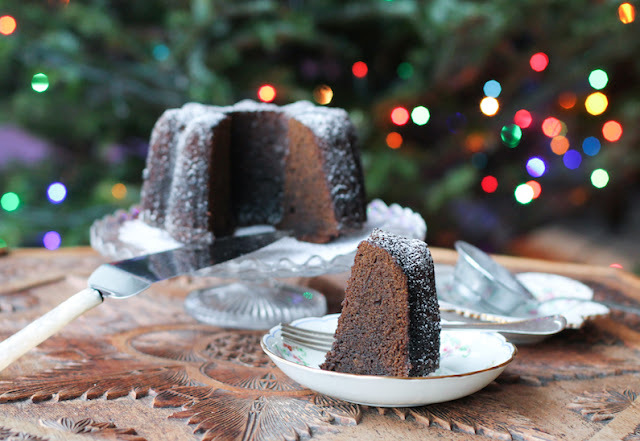 Add depth of flavor and warmth to spicy gingerbread Bundt with Guinness stout, fresh ginger and cayenne, along with all the usual spices like ginger, cinnamon, cloves and nutmeg. 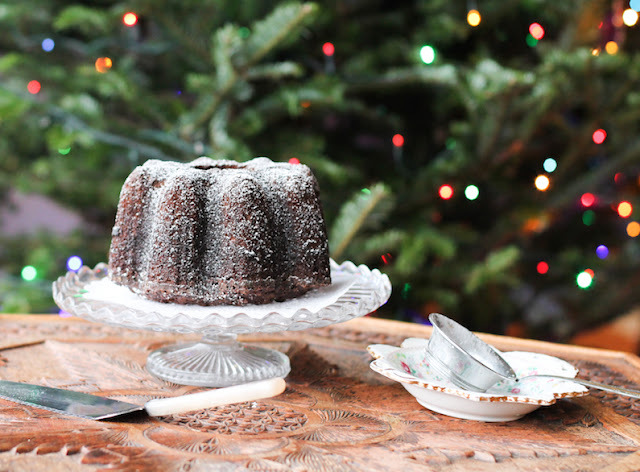 This mini Bundt makes the perfect dessert for your holiday meal or a welcome snack. Gingerbread at Christmastime is a wonderful tradition in many families, ours included. 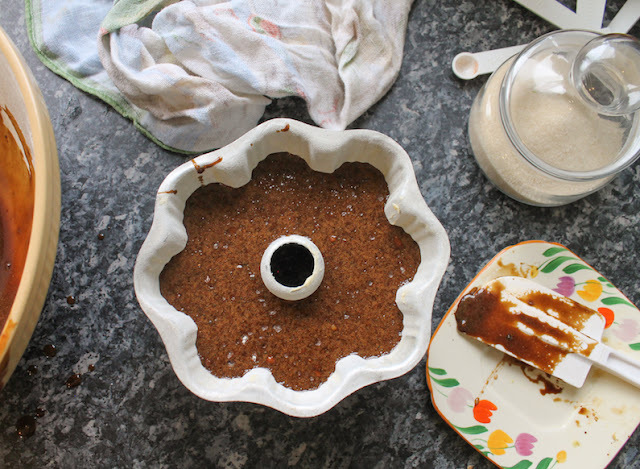 In fact, when my girls were still living at home, gingerbread was one of their favorite after school snacks in the weeks before the Christmas holidays. 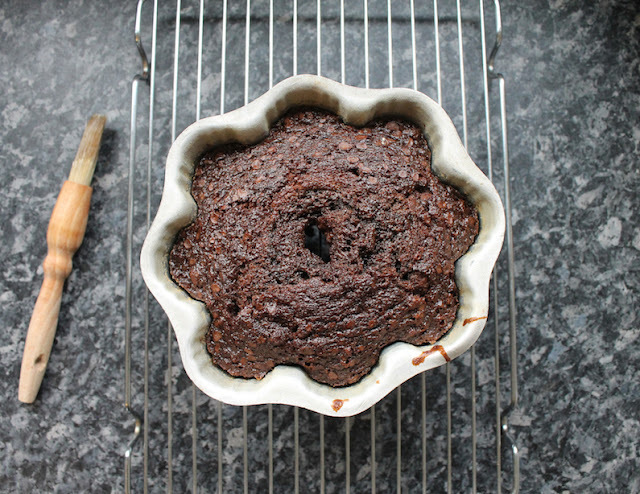 There’s just something about the smell of gingerbread baking that tells you Christmas is coming! 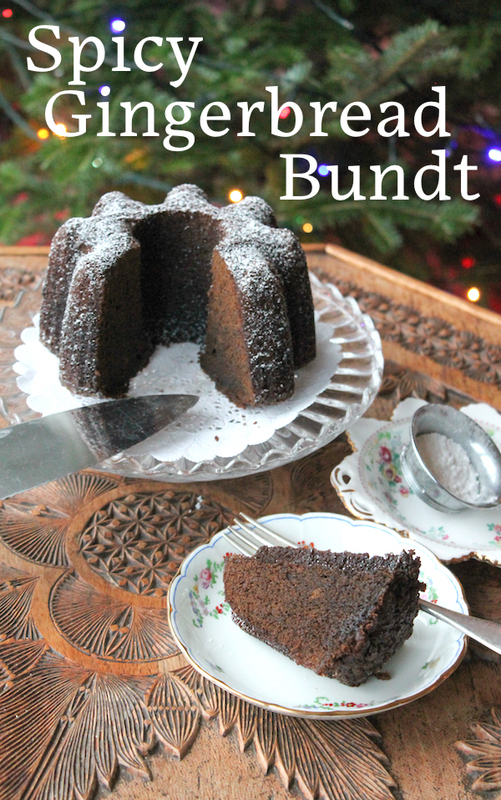 This month my Bundt Bakers are sharing Christmas Bundts so I had to make gingerbread, boosting the flavor with the addition of Guinness Stout and fresh ginger. And since I want things extra spicy, a little cayenne! 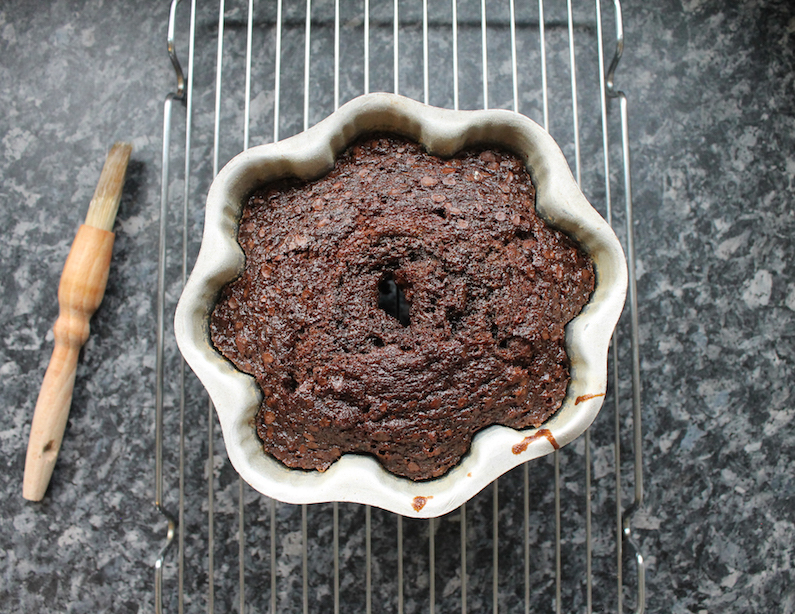 Butter a 6-cup Bundt pan well and dust liberally with flour, tipping the excess out. Preheat your oven to 350°F or 180°C. Cut the butter in cubes and set them by the stove, at the ready. Bring stout and molasses to a boil in a large saucepan with the grated ginger. Remove from heat. Whisk in the baking soda. 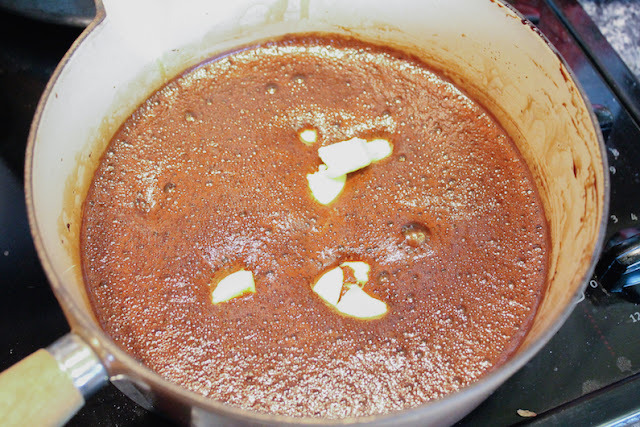 Add in the butter cubes and stir till they have melted then leave the pan to cool. Sift the flour together with the spices in a large bowl. 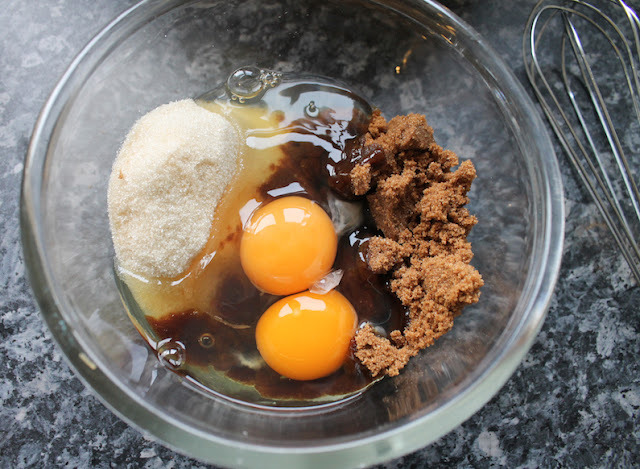 In another small bowl, whisk together your eggs and both sugars. 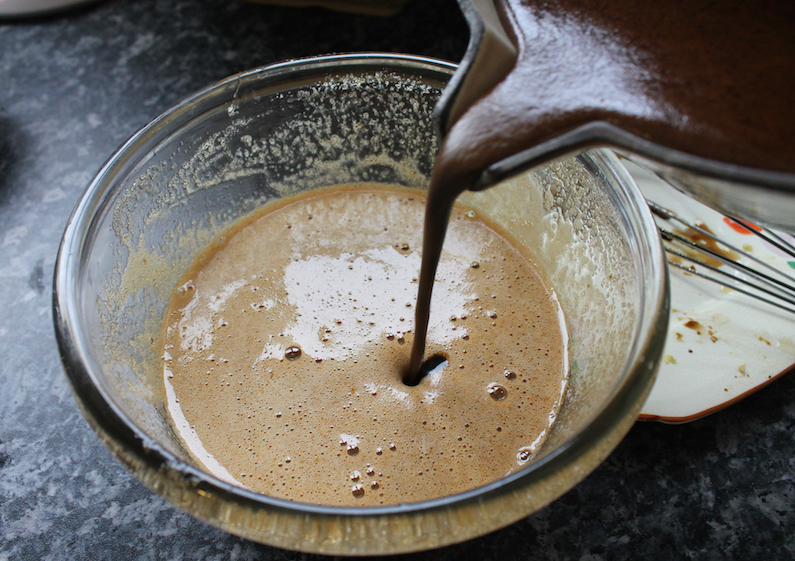 Whisk the cooled molasses mixture into the eggs and sugar. 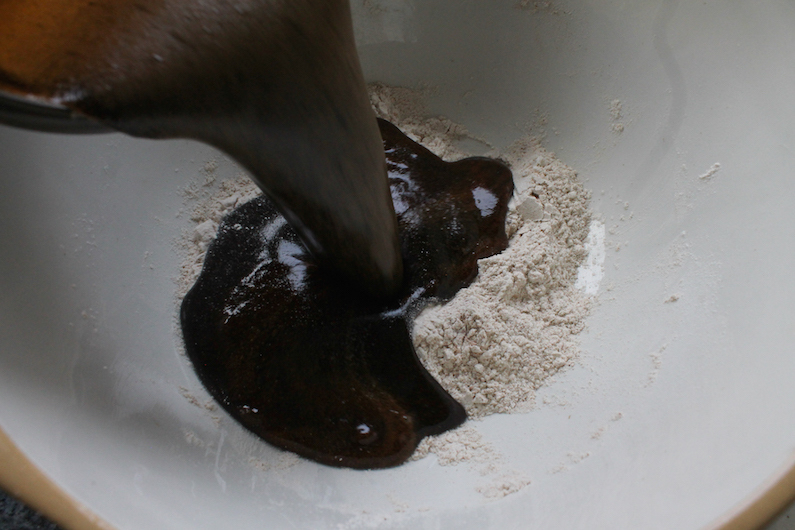 Add the whole lot to the flour bowl and fold until just combined. Pour the batter into your prepared Bundt pan. Lift the pan and set it down hard on the countertop to get rid of the air bubbles. Bake in the middle of oven about 30-35 minutes or until a toothpick comes out almost clean. 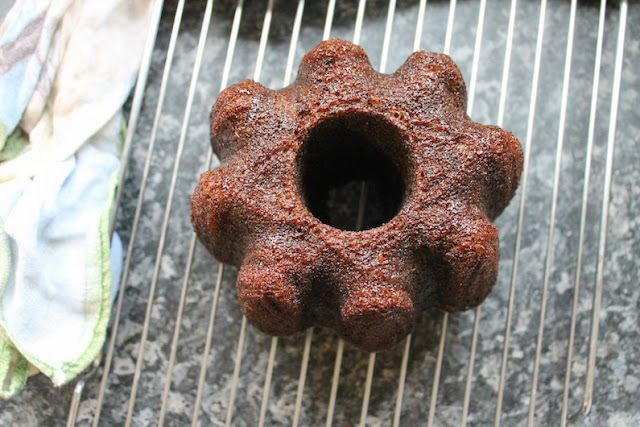 Cool the Bundt on a wire rack for 5-10 minutes or until it pulls away from the sides slightly. Invert on the wire rack and leave to cool completely before dusting with powdered sugar, if desired. 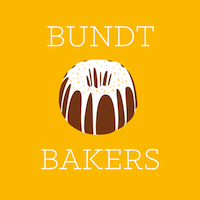 Check out the Christmas Bundts the rest of the Bundt Bakers have baked for you today! Many thanks to our host Sneha of Sneha's Recipe.